Free UK Delivery on all purchases of £40 or more. Most UK deliveries within 3 - 4 working days. 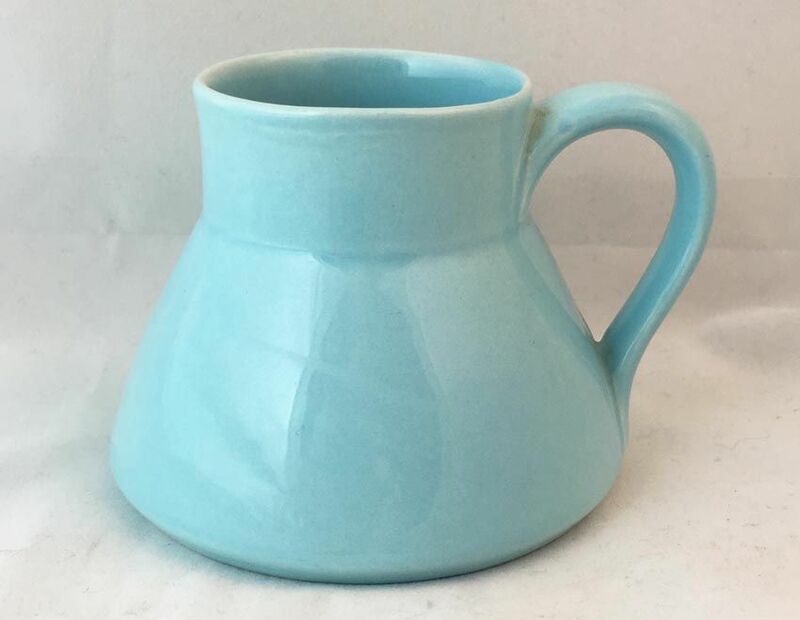 Very scarce Poole Pottery ships mugs.Strictly speaking these mugs are not from the Sky Blue Twintone range, but we have included them under this heading as the colouring makes them attractive to Sky Blue collectors. They have a much higher glaze than Twintone, more akin to the Cameo glaze than the Twintone one. These mugs were designed with a wide base and a very narrow top, to give them additional stability whether used at sea or on land. They stand just over 3" tall. These items are in excellent condition. © Copyright Replace Your China All rights reserved.